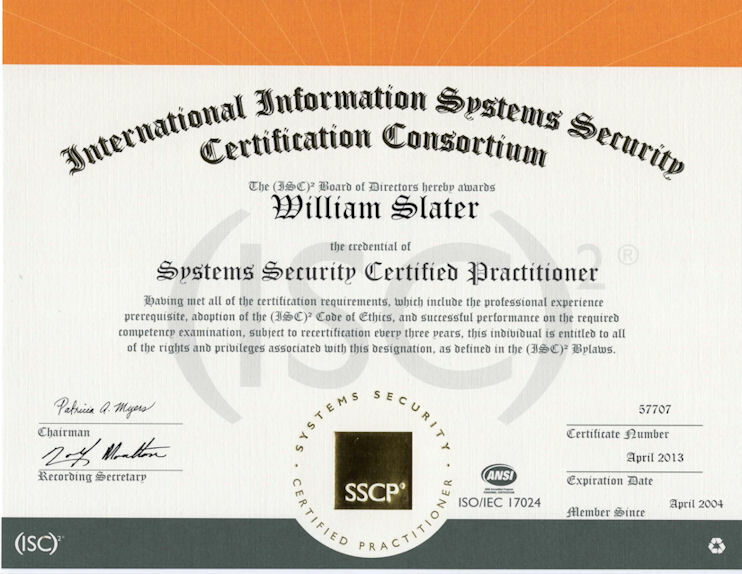 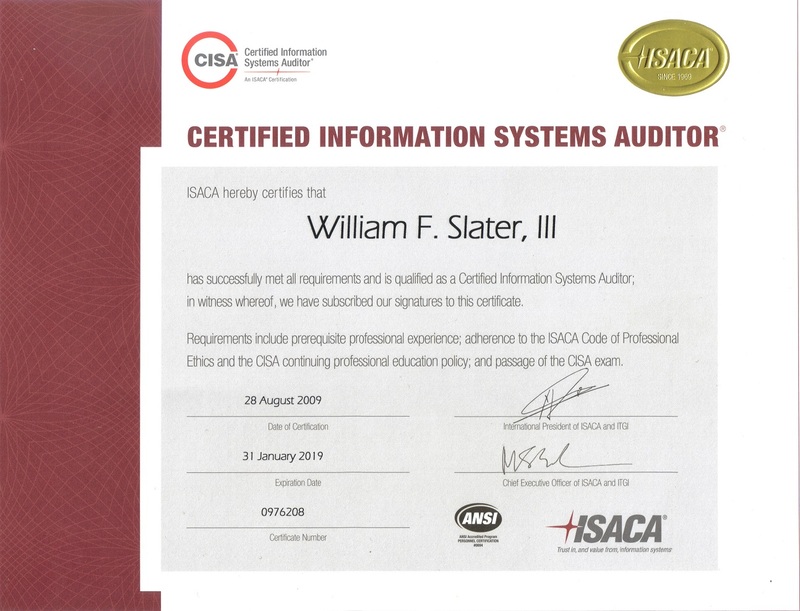 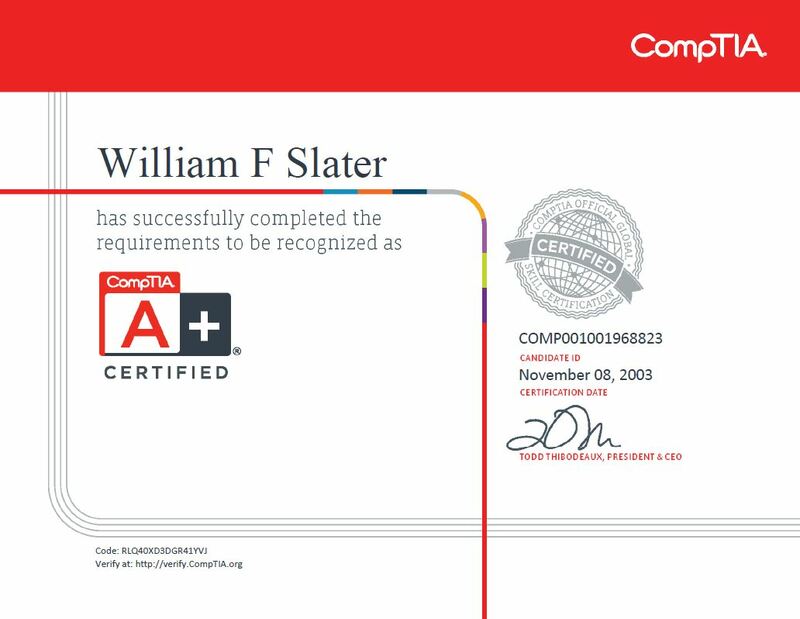 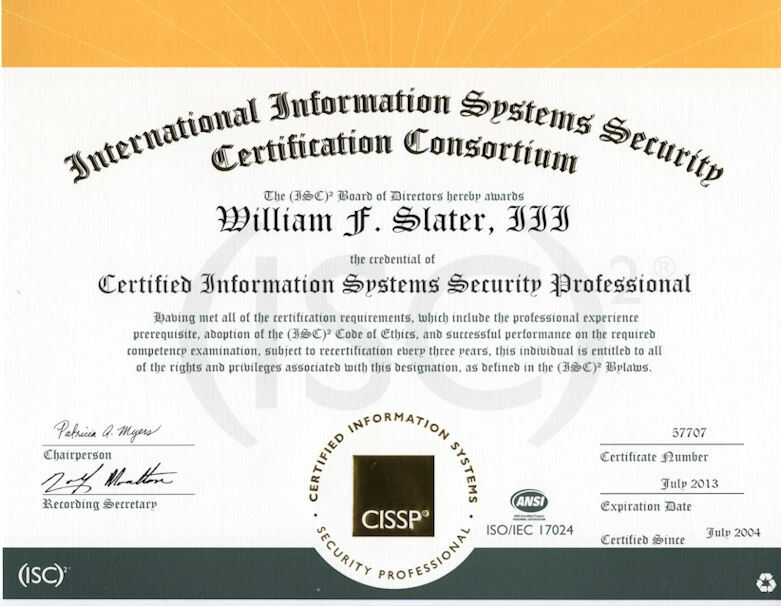 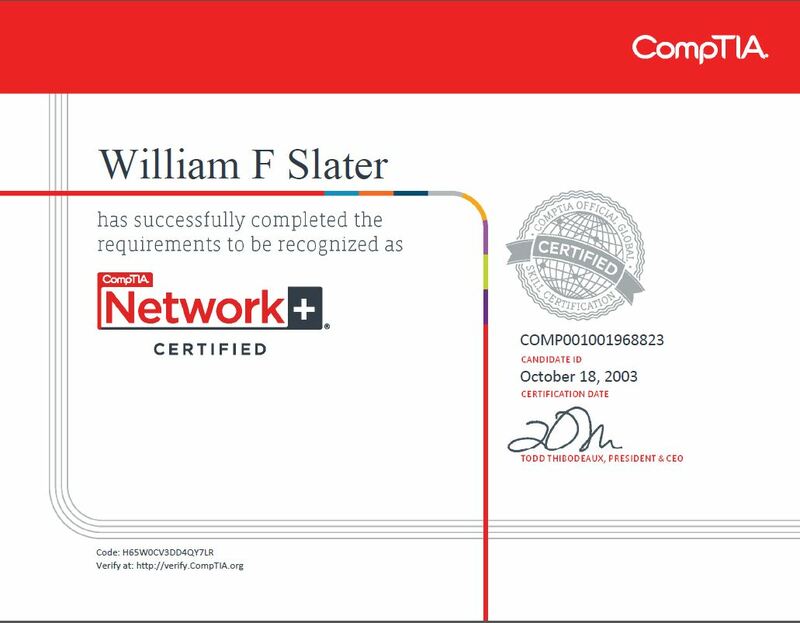 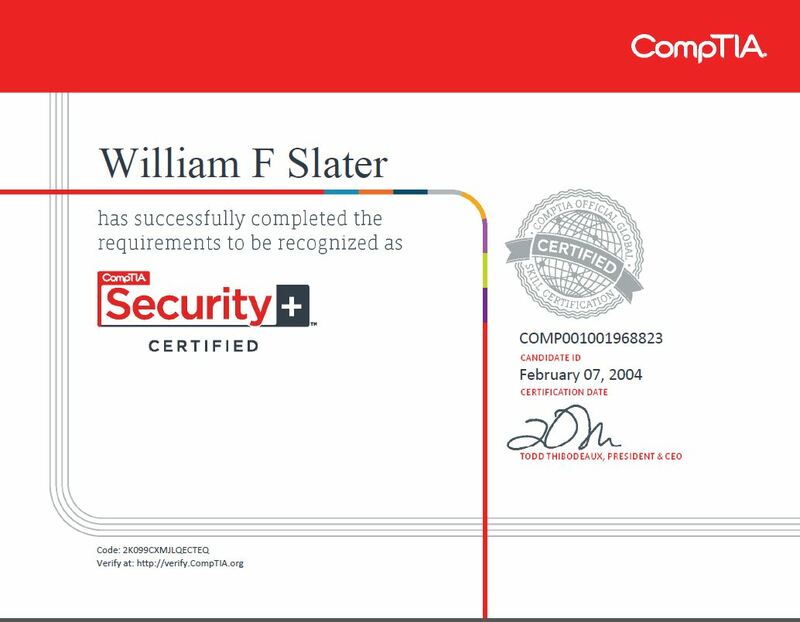 July 22, 2011 Passed the ISO 27001 Lead Auditor Exam to earn this. 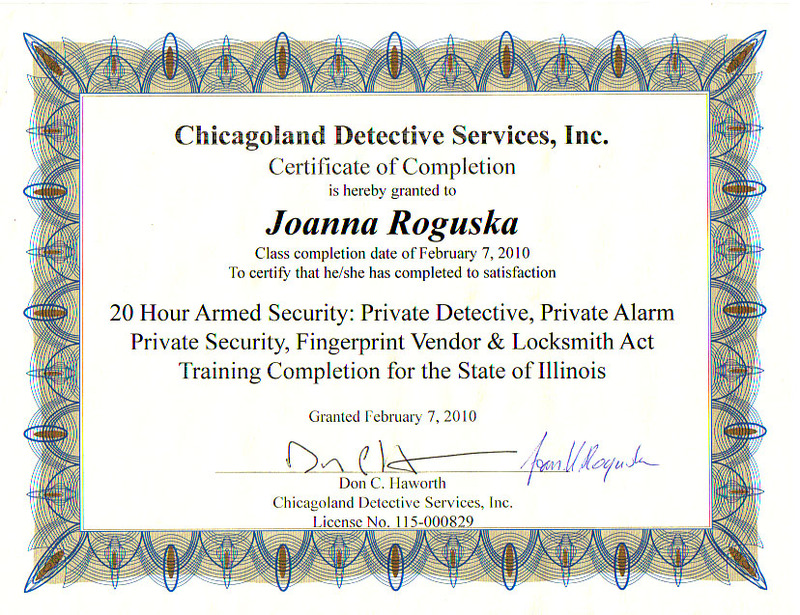 Study materials by The Art of Service. 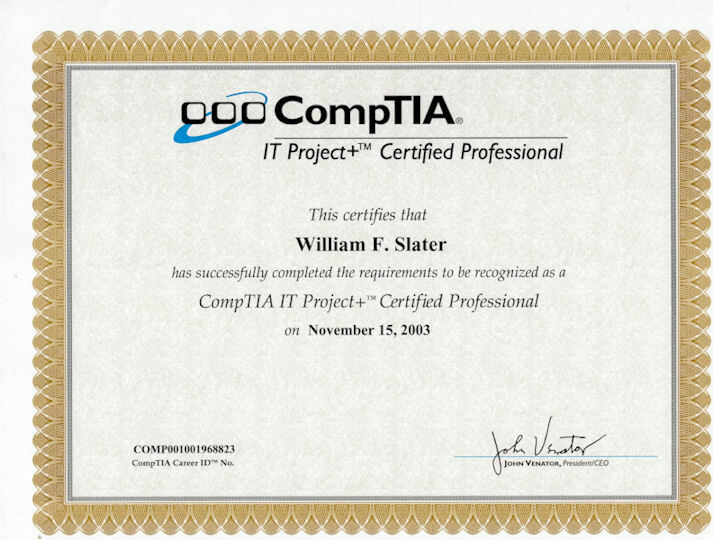 sponsored by the Institute of Data Center Professionals located at Marist College, Poughkeepsie, NY. 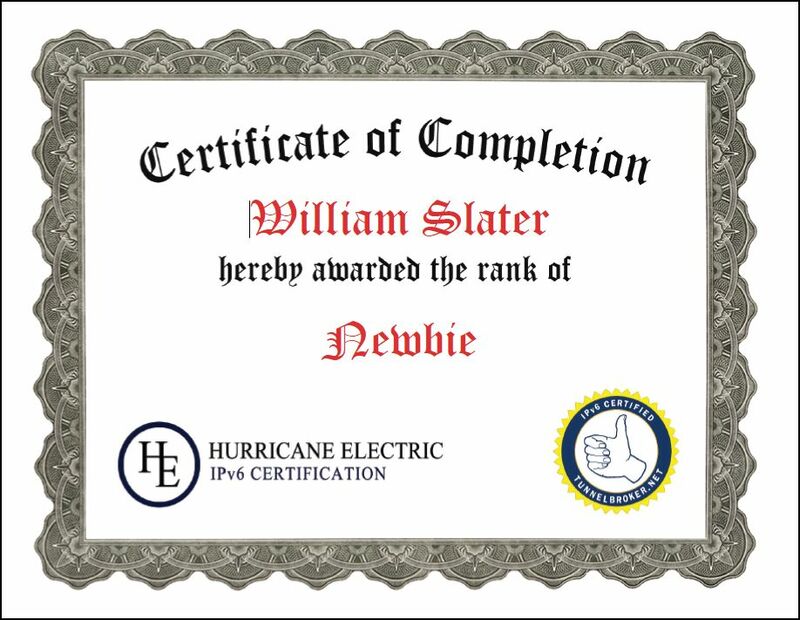 This was 21 months of extremely hard work but it was definitely worth it. 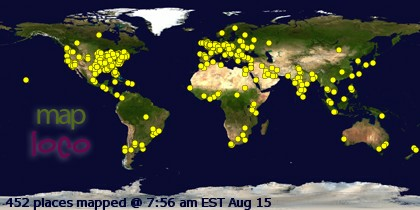 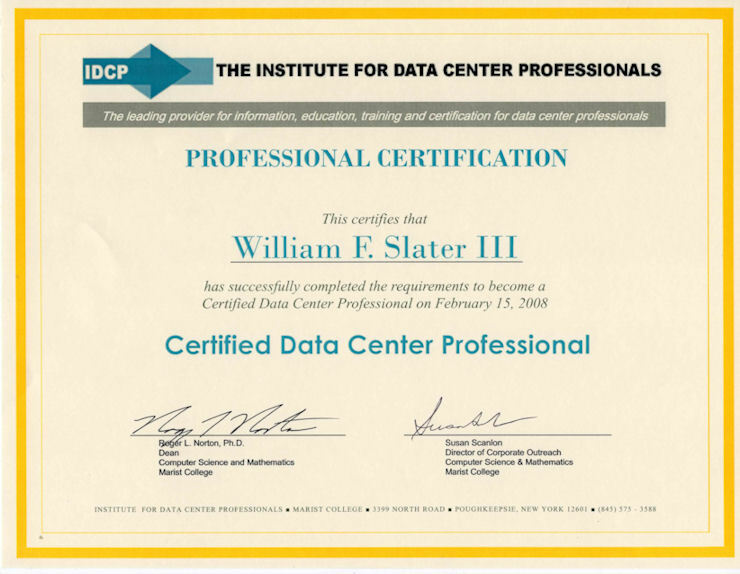 In 2008, I managed the largest Data Center in the World! 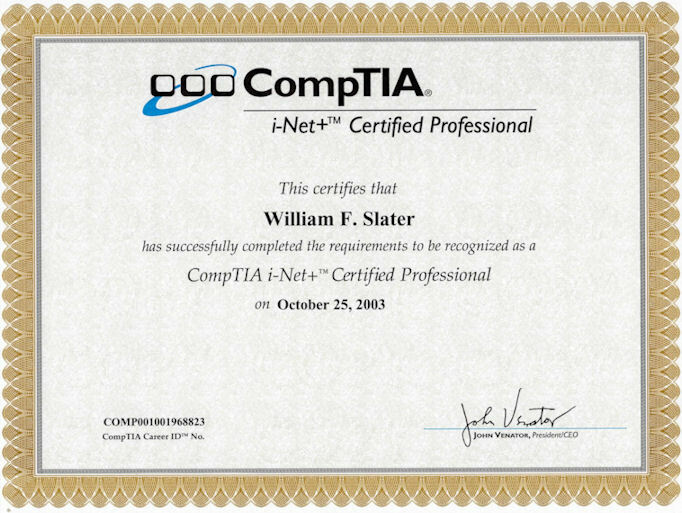 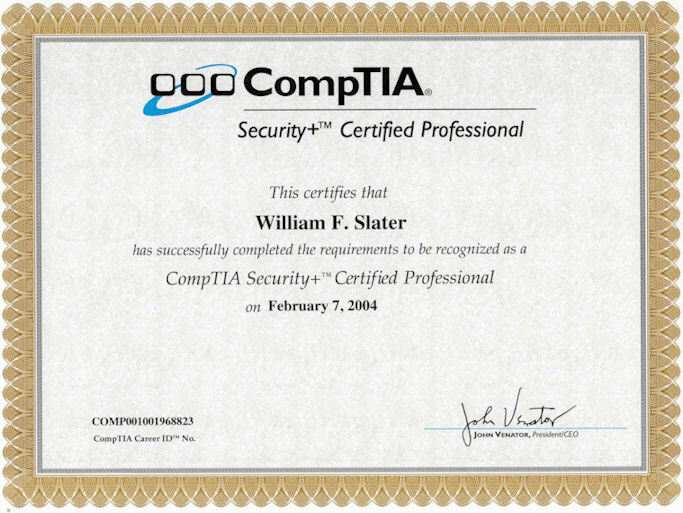 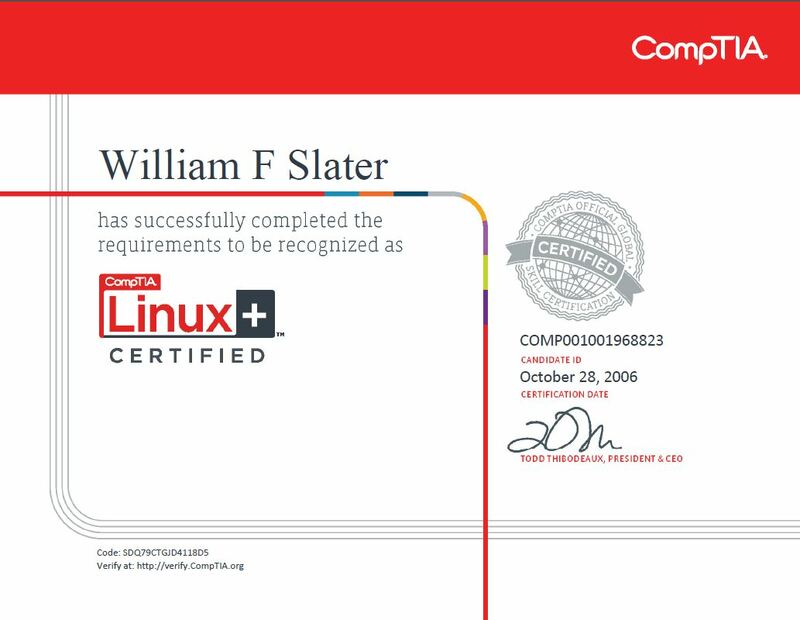 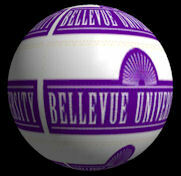 Confused about Certifications? 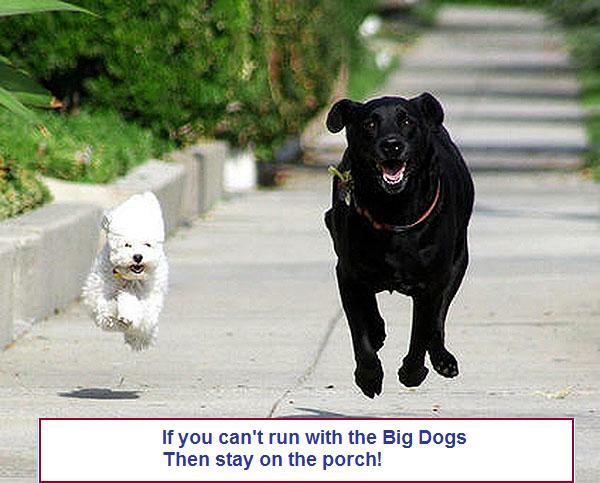 Maybe you just need a Road Map! 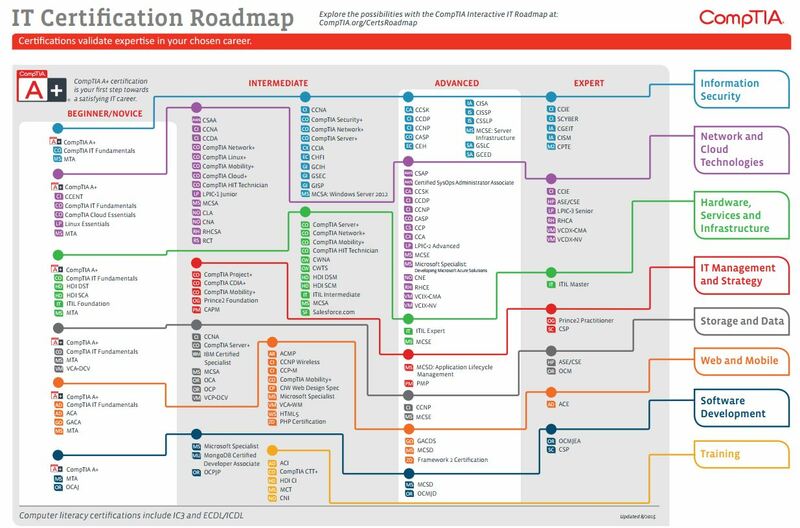 Click below to see the CompTIA 2015 Certification Road Map! 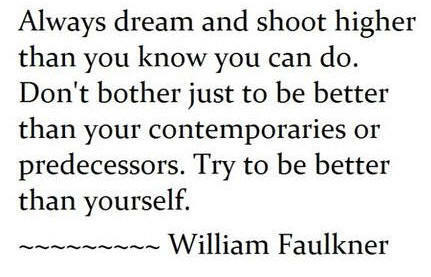 who each in their own way has given me love, guidance, encouragement and inspiration. 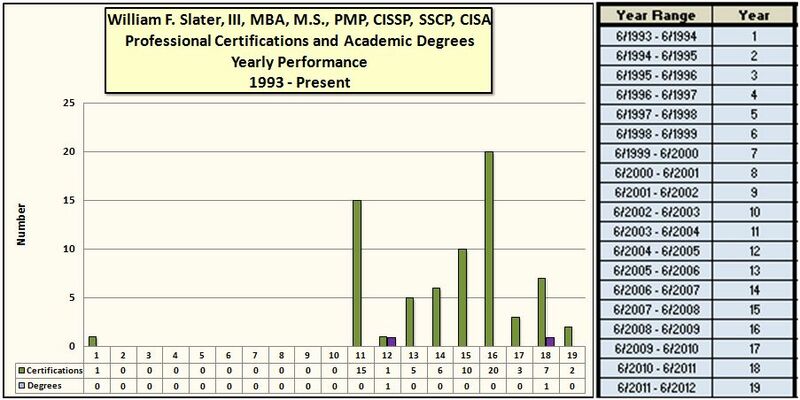 Some credentials - click this link or picture to see the larger page. 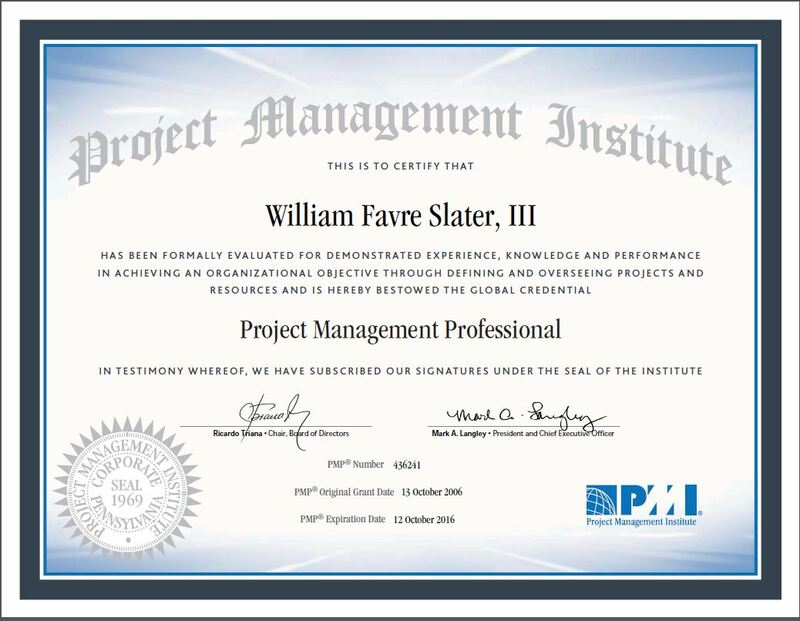 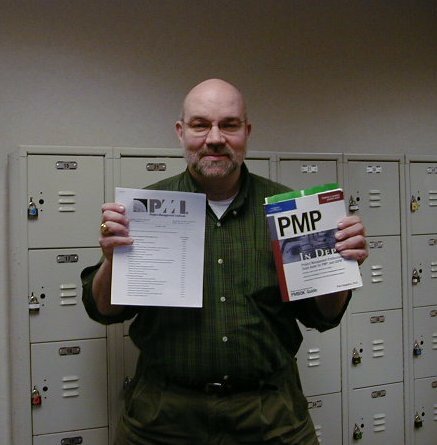 October 13, 2006 - The day I completed the PMP exam my PMP certification. 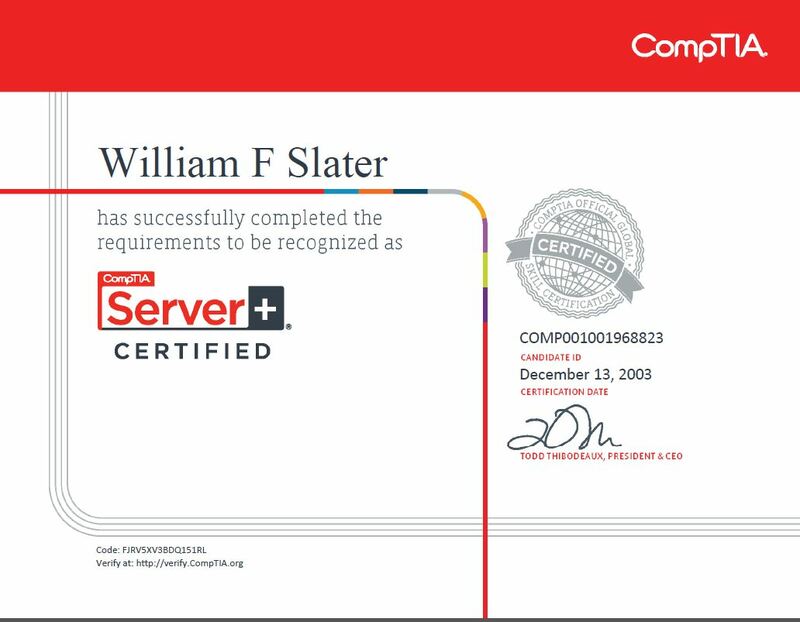 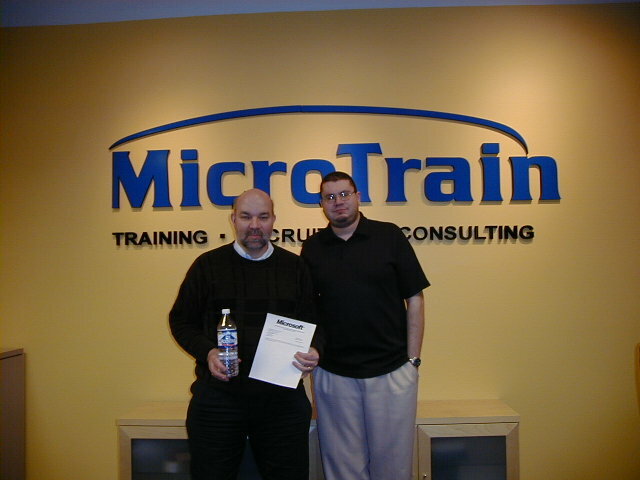 January 31, 2004 - The day I got my last exam completed for my MCSE 2000 certification. 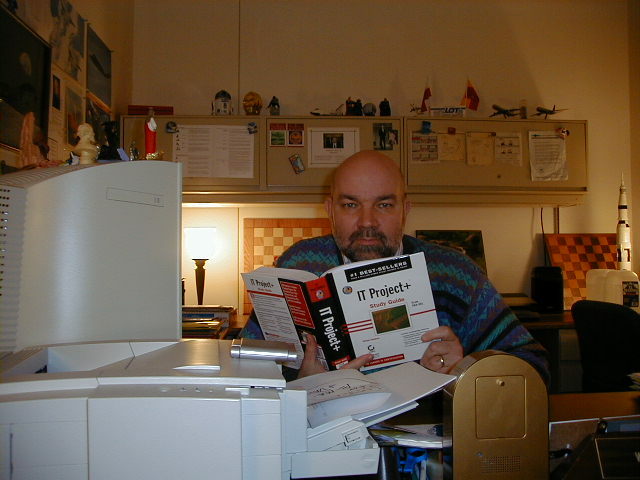 November 13, 2003 - Studying in my office at work, two days before taking and passing the IT Project+ certification exam. 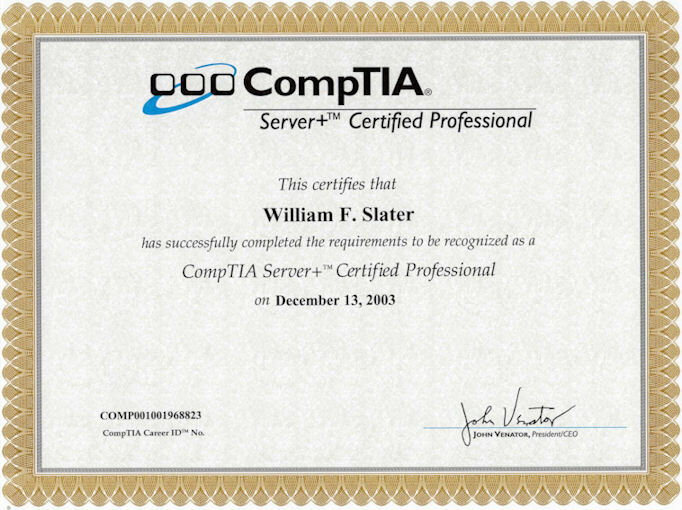 June 15, 1993 - First picture taken after getting certified. 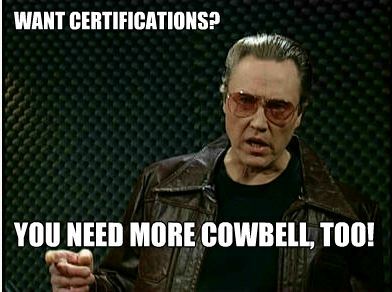 It was at my 20-year high school class reunion in Memphis, TN. 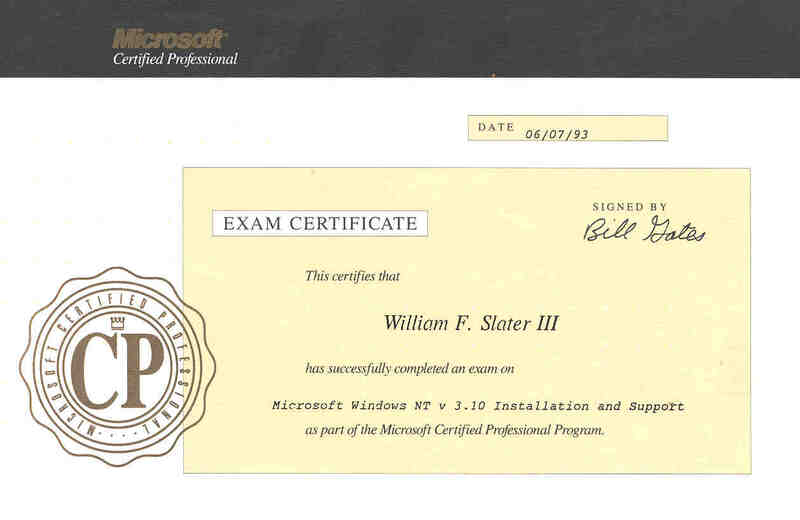 June 7, 1993 - My very first Microsoft Certification. 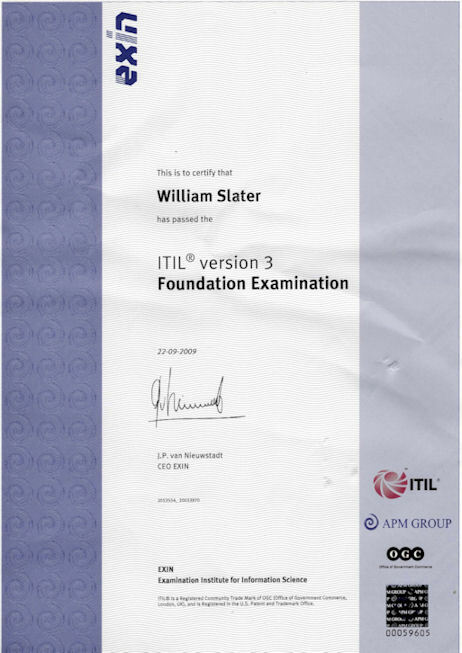 It was in Windows NT 3.1, about seven weeks BEFORE it was released as a real product. 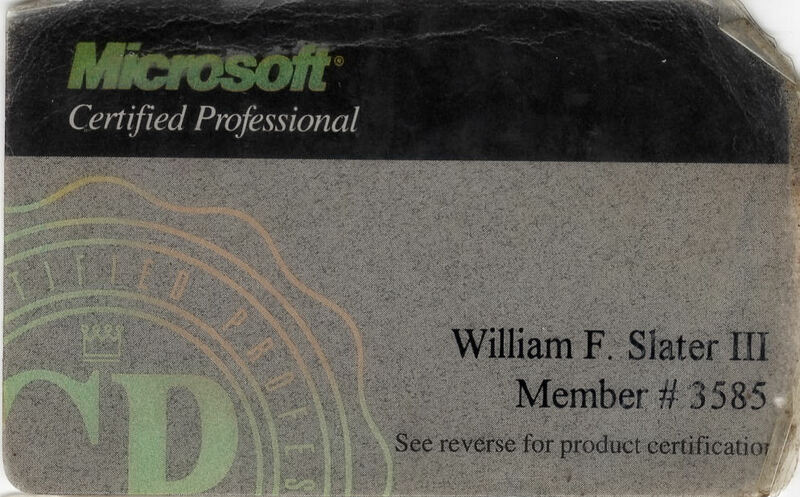 June 7, 1993 - My MCP card (front) for my very first Microsoft Certification. 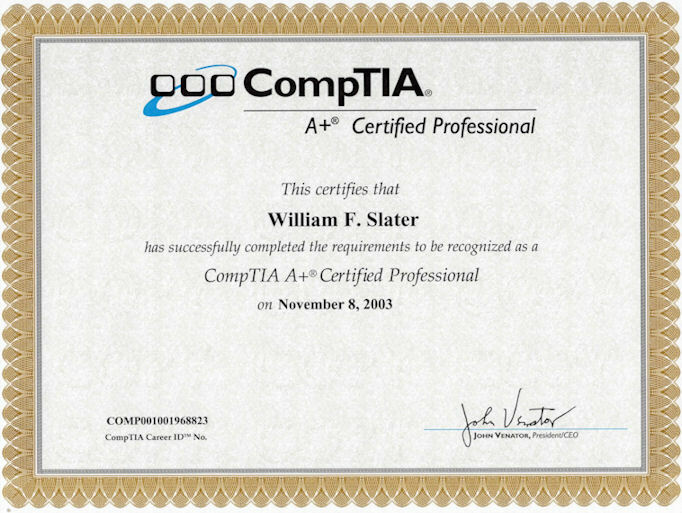 It was in Windows NT 3.1, about seven weeks BEFORE it was released as a real product. 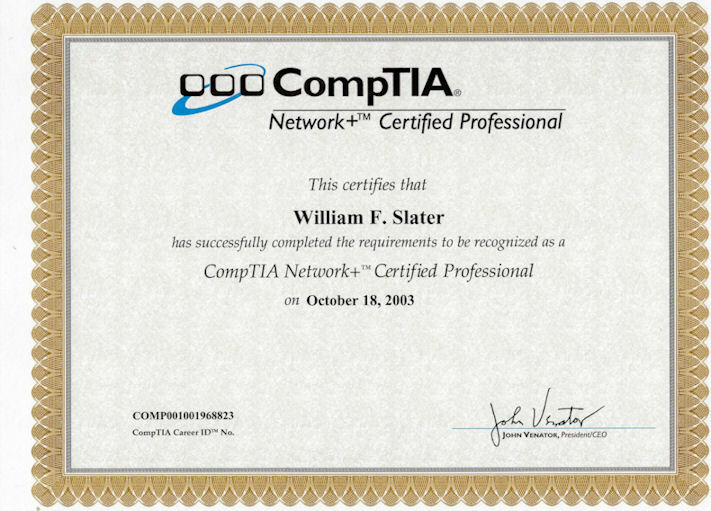 Click on image to see a larger picture of the MCP card. 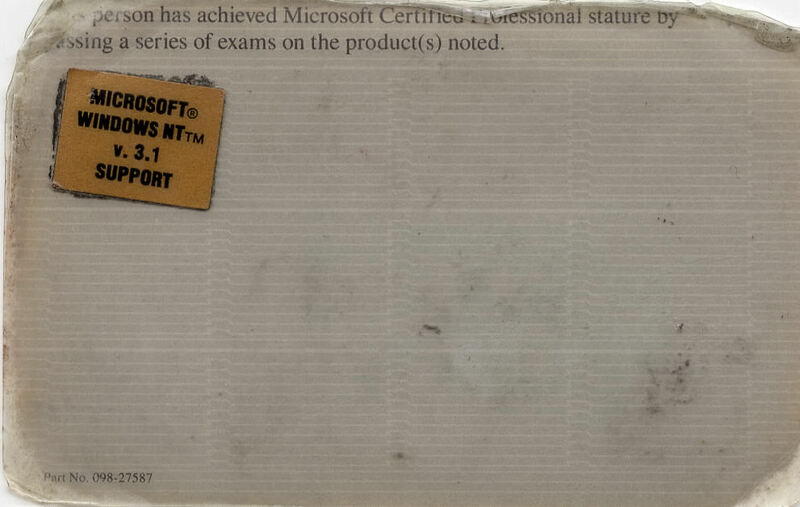 June 7, 1993 - My MCP card (back) for my very first Microsoft Certification. 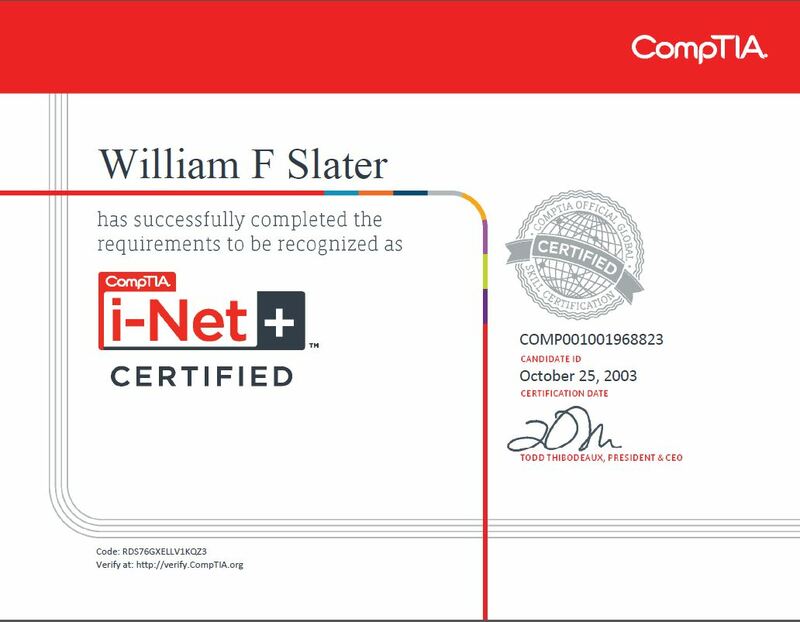 It was in Windows NT 3.1, about seven weeks BEFORE it was released as a real product.